Covering, researching military & strategic affairs. IHS Jane's. BESA. Author of Virtual Caliphate. Student of the oud. Krav Maga. The symbolism involved in firing on Israel’s largest metropolis and economic hub is a direct challenge to Israeli deterrence. פיצוצים עזים במחסן נשק במחוז דרעא, שם אסד מנסה לכבוש מחדש את העיר הנחשבת לסמל המהפכה. הפיצוץ - בשטח שבשליטת צבא אסד. 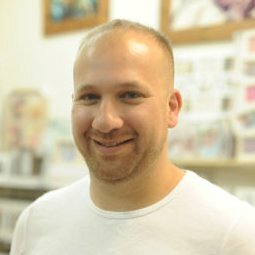 בשבוע שעבר איים נתניהו: "נמשיך לפעול בעוצמה נגד מטרות איראנית במרחב"
An industry of intelligence-gatherers and air-force operations works behind the scenes, nipping threats in the bud and doing so without sparking major wars in the process. The destruction of significant Syrian air defense systems is a painful blow, and a message regarding what might come next in the event of another escalation. Some of the seals are inscribed with biblical names, several of which are still used today, such as Pinchas. 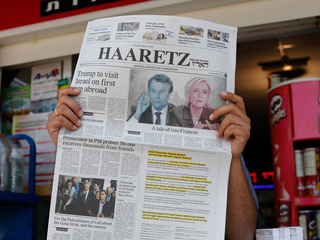 Israel’s most prominent left-wing newspaper has lost its sense of reality — and its support.